Posted by British Council India in UK Environment Film Fellowships. My project, ‘Blocks of Green’, which talks about the energy efficiency and water conservation in the green buildings in Kolkata, was selected for the UKEFF right after I got the National Film Award for one of my documentary films. When I started working on film, many of my film school friends and well-wishers were surprised and amused seeing me make a film on buildings. Some of them started calling me a ‘corporate filmmaker’. But I am glad that I got the opportunity to do this film. I thank the British Council and the British High Commission for their unique initiative, the UKEFF. 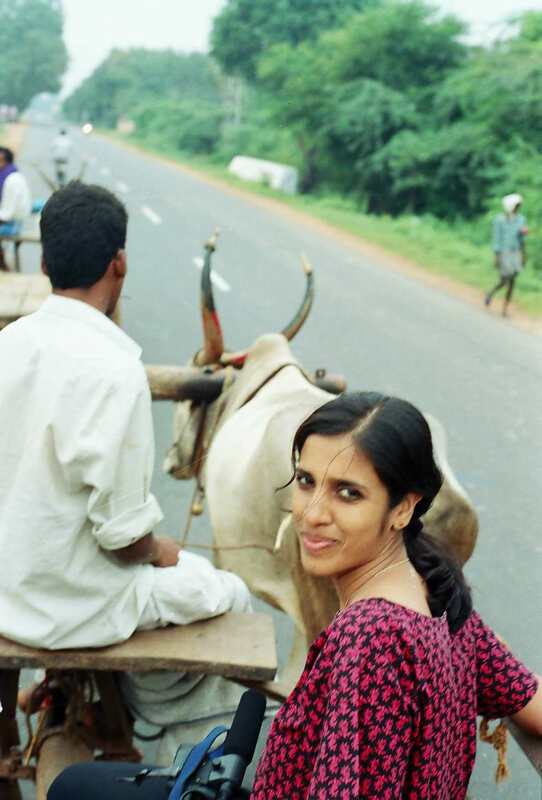 Having worked as an independent documentary filmmaker for the past four years and having pitched my projects in India and abroad, I know how difficult it would have been to find funding for the film I made. My film was not telling the story of any protagonist but that of buildings. It was not made to entertain but for a cause, one that concerns all of us, but we do little about. Today, we are more aware of the environmental concerns. But I believe this awareness needs to be spread far and wide and taken to the very grassroots level of the society, to the masses, to the common man in the small towns and villages. And best way to do it is through the audio-visual medium. The UKEFF did just that. The UKEFF, through its team of experts, not only helped us make the most effective film but also helped the films reach far and wide through the telecast on National Geographic channel and the following presentations and screenings in different part of the country. I was glad to present my film to packed audiences in Kolkata and Kochi. The response at both the places made me feel happy to have made my small contribution to the green cause. I was overwhelmed to see the stimulating audience interactions in Kolkata following the film screening. The positive energy that I witnessed in the audience in Kochi, to do something in their own city and make a difference, was a special feeling. Their eagerness to go green in their very own environment showed me the positive impact of the UKEFF films. I hope the British Council organizes many more screenings in many more cities and towns in the coming days, and would be happy to part of the same. I eagerly look forward to the DVD release of the UKEFF 2010 films. I wish to screen the films in as many schools and societies I can and keep spreading the green message. ‘Blocks of Green’, telling the story of the buildings, has been a challenging film for me. The challenge was in talking about buildings yet keep it interesting. I thank the people who helped me live up to the challenge- the experts from UKEFF, with special mention to Mr. Mike Pandey, for their guidance, and my professional and experienced crew members, Supriyo Dutta, cameraman; Sukanta Majumdar, Sound Recordist; Tamal Chakraborty, Editor, all of whom are my friends from the Satyajit Ray Film and Television Institute. I also thank Mr. Biswajit Thakur, my guide on green buildings, and Sumanta Ghosh, the graphics artist for the film. I am also thankful to Mr. S. P. Gon Chaudhuri, Managing Director, West Bengal Green Energy Development Corporation Ltd.; Mr. S. Bhattacharya, Director In Charge, West Bengal Renewable Energy Development Agency; Mr. Harsh Neotia, CMD, Ambuja Realty, for their support. June 5th – World Environment Day – 6 am – I was sitting in an airport lounge sipping coffee. The irony of that moment didn’t escape me. My film idea had been chosen for the UKEFF 2010 on the theme of climate change mitigation and here I was adding more credits to my carbon footprint. I guess this thought wouldn’t even have struck me a few years ago – but now I live in a world where every action has serious consequences for our planets future…I live in Bangalore and in the last 5 years, the city seems to have become warmer – no more warm clothes, no more aunties knitting sweaters, air conditioners sticking out like tumours from every window – yes the city has changed. I used to gripe about it till I met a small and steadily group of positive minded people – who really do believe that their actions can make a difference in this huge world that we live in. My film ‘Wheeling in Change’ was inspired by the traffic in Bangalore – something that is so common to every resident of this city that it is the best conversational ice breaker. And when I realised that as the number of private vehicles were increasing and the number of trees were decreasing in this ‘garden’ city – I decided to explore this theme; see if it has a bearing on climate change and if so, what we could do about it. And that’s when I met my films heroes – Mayank, Lavanya, Vipul and Das – people who have been steadily making the right choices as citizens and environmentalists – and whose lifestyle choices were influencing a larger circle…simply by cycling, taking public buses or carpooling EVERYDAY to work or otherwise – between the last 10- 3 years!!! And yes! Some of them own cars – some of them refuse to buy one – and they all work corporate jobs! Through them I realised that there are proactive individuals in the government too – the Commissioner for Transport and Road Safety is an avid cyclist doing all he can to promote cycling in Bangalore; a police force that actively encourages car pooling and the introduction of a bus day once a month. Of course none of this would have been possible without the UKEFF and the British Council who have been very supportive through our shoots, our feedback sessions and finally in enabling the films to reach a wide audience. It was really thrilling to show our films in cities all over India – from what I hear to packed audiences in every city that had screenings…in Bangalore, the discussions on the films went on long after the venue closed – so much so I missed the telecast on National Geographic and am eagerly awaiting a repeat! It’s so rare that a funding body takes this kind of effort to showcase the films too…and I’m really grateful for the enthusiasm and dedication of everyone involved with this project. Unfortunately, human progress so far has been at the cost of environmental imbalance and we have before us an enormous task of making up for it. So where does one start if we are to make a difference? I got my start thanks to the UKEFF 2010 project. Its theme of finding environmental solutions for urban areas seemed a credible and do-able idea. How that idea would be executed came to me after a month’s ruminations (at an unlikely hour of 4 am in the morning, while watching the past UKEFF films on you tube) just 5 days before the submission deadline. I convinced Ira Prem of the IICE (I owe this film to her) to give me an Immediate appointment, and working at breakneck speed managed to courier my folder just in the nick of time. I am glad I did that because it’s been a great journey all through the making of this film. Right from the first presentation to the Jury (The first time in my life that I was giving a PPT presentation in front of an audience) Right up to the last day when the film was launched on Nat Geo on the 5th of June 2010. All the people I met while working on the film (many of whom could not be featured in the film due to time constraints) walked the extra mile to help me. Specifically, I would like to specially mention the experts in my film Dr. Ajit Gokhale & Ms. Roshni Udyavar. One of the residential societies where I was shooting has installed Rain Water Harvesting & Water Recycling Systems (though not facing any kind of water cuts or water problems) just because it is the need of the hour. Everyone I met feels the government must make it compulsory & it should be a punishable offence not to have Rain Water Harvesting & Water Recycling System at one’s residence. The focus of the film was to convince people who are staying in old buildings – which were built when Climate change was not a big issue, which were not built with green parameters – to take steps to make their buildings go green. Following Mahatma Gandhi’s maxim “Be the change you want to see”, I have initiated the process of setting up a Wind Generator System in my residential complex (we already have a Water Recycling System). However, it is just not me; I have noticed positive feedback from others too. During the dinner that followed the launch on 4th June, A lady came up to me and said their complex too depends on water tankers and after hearing one of the protagonist in my film, she too will try and convince people from her locality to do Rain Water Harvesting . While editing the film, there was this businessman from Bhopal who had come to meet me and he saw the part where one of my residents talks about getting subsidy & claiming depreciation by investing in a Wind Generator System. He immediately called up his Chartered Accountant in connection with the depreciation bit and he is now fixing a Wind Generator System in his bungalow. Indeed the film is serving its purpose…..
Time to take this idea further….. ? The experience of making The Miracle Water Village has been a great journey for us! Our relationship with the village of Hiware Bazar started sometime in October 2009, when we were researching on rural communities that have worked on water conservation. Over the course of our research and production of the film, we happened to visit the village many times – meeting men, women and children for whom, water conservation has literally become a way of life. Hiware Bazar is not merely a name – it’s both a symbol and a phenomenon. Tucked away in the parched landscape of Maharashtra, this small village is emblematic of the problem and solution to water management in India. When inspiring leadership and collective efforts take root within a community – what it gives to the world is nothing short of a miracle! The experience of making the film has been humbling as well as one of unlearning of a lot of assumptions that most city-dwellers have about ideas of ‘development’. There was much more to learn from this typically rural and semi-literate community’s experience than from the expertise of the many scholars that we interacted with through the course of making this film. Through the course of making the film, we interacted with 90-year olds and 9-year olds who shared the same love and commitment for their environment! Stories of drought and despair have been taken over by tales of hope and positive efforts – each voice bearing a testimony to the collective wisdom of an entire village. The UKEFF gave us the perfect opportunity to tell the story of this rural community that has used the power of its own vision and a bottoms-up approach to solve its water crisis. In the face of imminent consequences of climate change, it is collective community participation, ownership and responsibility of the environment that will make all the difference. Finally, as filmmakers, the most important concern for us was not to make a film that raised issues of climate change, without providing viable solutions for the same. Now that the film has been shared with a wide spectrum of audiences, the feedback and response that we have received has been extremely heart-warming and encouraging. There has been a huge demand from community leaders and scholars to share copies of The Miracle Water Village in different regional languages that could be shared with more farming communities across India. For us, this where the power of this film lies – to be used as a resource and education tool to affect positive grassroots-level change. The UKEFF has ensured that the success of Hiware Bazar will not just remain a local story but one that can inspire many similar water-thirsty regions across the world! Post by – © Sushmit Ghosh and Rintu Thomas. The UKEFF 2010 gave me the wonderful opportunity to make a 12-minute film on ‘Climate Change Mitigation in Urban Areas’ – a topic very close to my heart. Most of my films in the past focused on green innovations in the industry sector or in rural areas. 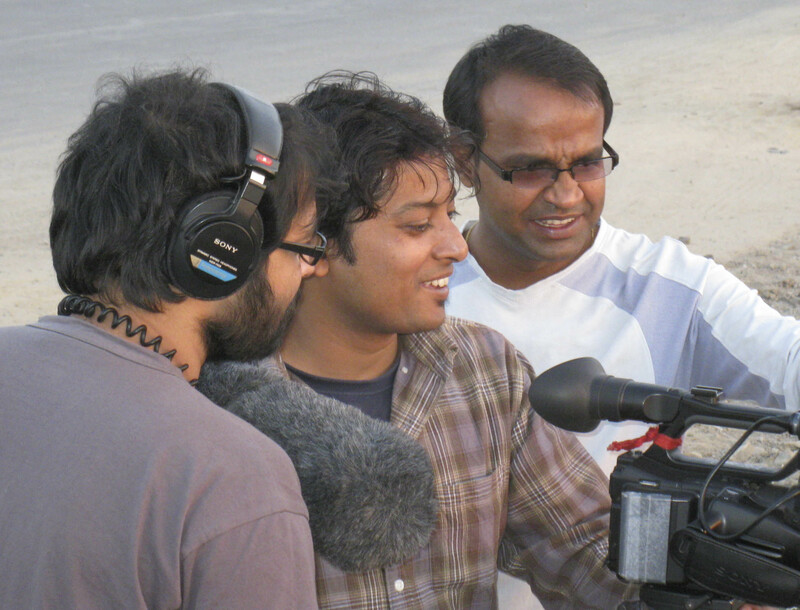 To make a film on green interventions in Surat, India’s ninth largest city, was a new challenge I was eagerly looking forward to in the beginning of January 2010. The film was completed in May 2010. The months in between were an exhilarating roller coaster ride. Some of the highs – the thrill of interacting with people in Surat, especially in the municipal corporation and the industry, to understand and visualize the stories, the willing cooperation and enthusiasm of everyone in the city to help with the film, the amazing connectedness of people of Surat – where everyone knows everyone and is just a phone call away, the joy of being in a city that seemed to be doing many things right and of course the food! Having lived in Gujarat for many years, I have grown to love ‘Gujju’ food, even as many of my friends and colleagues cannot fathom how can ‘dal’ be sweet. Crucial to shaping the film, after the filming was over, were the feedback sessions by the jury of the British Council. To have the film continually assessed by an external audience at every stage of its creation was both new and useful for me. Encouraging, full of ideas (all totally divergent at times! 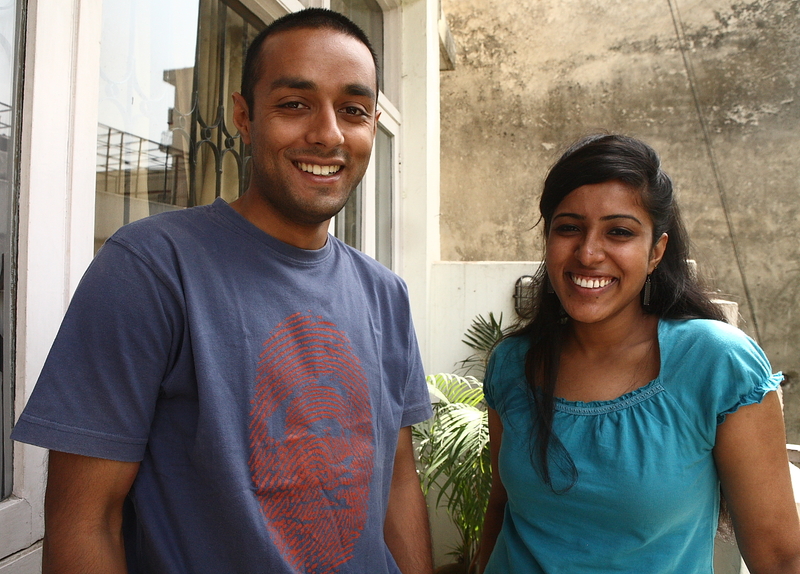 ), bringing in new dimensions to the subject, the jury’s feedback would get our heads buzzing and even go numb. The trick was to go back to the drawing board each time and test each idea against the overall theme of the film and see if the idea enhanced the film. I am very grateful for those feedback sessions, as they helped me integrate small details that made my film richer. 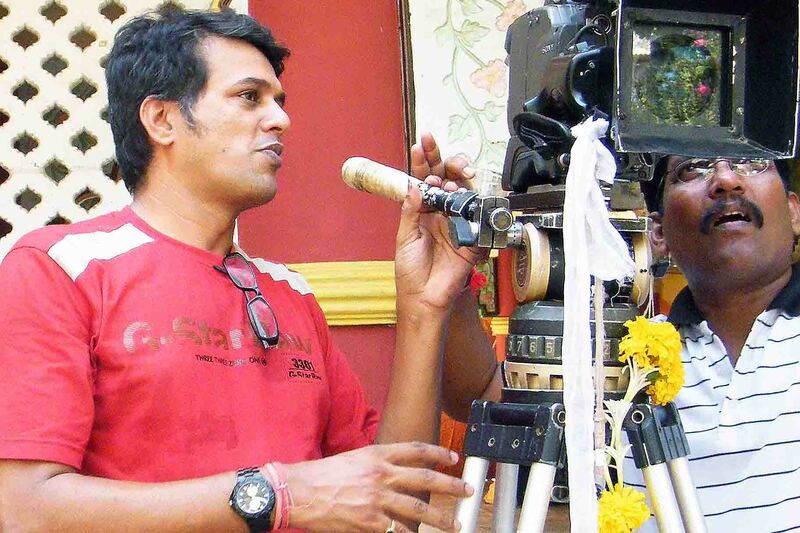 The final stage was going public – thanks to the British Council’s active efforts at getting the film ‘seen’. With a TV broadcast, simultaneous screenings in various cities on the World Environment Day and the newspaper publicity, I suddenly got a wee bit nervous as it made me realize how a film takes on a life of its own once it is out there for the audience. The excited phone calls and sms-es made me heave a sigh of relief – “Congrats”, “I think it could do without the graphics”, “Thank you for making me famous – my cousin in Australia saw me on TV”, “I liked the last shot in your film”… As the voices trail off, it feels nice to have made a film which has been seen by many, on a topic that matters to each one of us and. As for me, I now look at every city with fresh eyes – does it have an organized system of garbage collection? Does it have public transport? Does the city do PPP (Public Private Partnerships)? And wish for more stories of urban India to unfold. Post by – © Madhyama Subramanian. 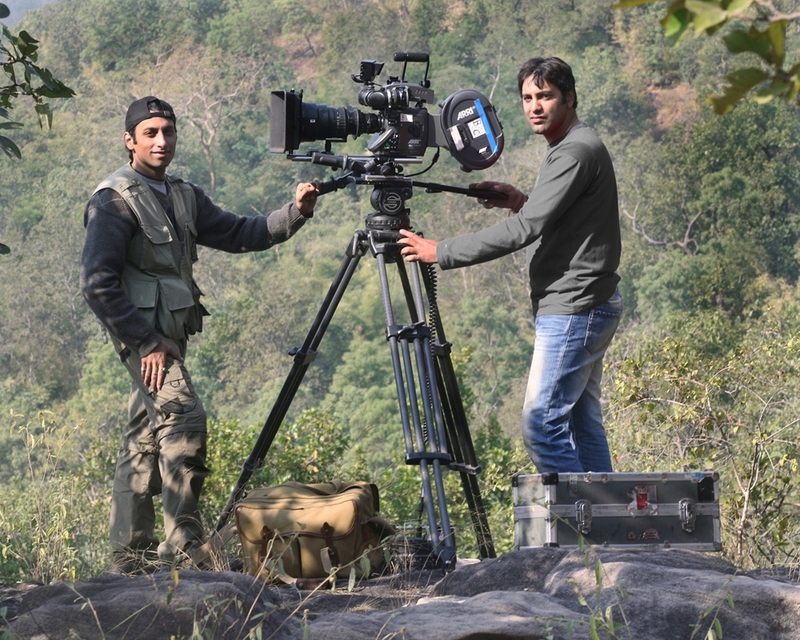 Following in our fathers ( Naresh Bedi’s) footsteps , my brother Ajay and I also wanted to make a film which could convey the message of conservation to people across. We were delighted when our film concept was approved by British Council and British High Commission for UKEFF fellowship on a new age yet very current subject of climate change. Our film “Melting Paradise” looks at Kashmir valley in a very different way. The valley has been in the news for its conflict and terror but we wanted to take our camera beyond the battle zone and talk about shrinking water bodies due to climate change. We had many difficulties to begin with, Jammu & Kashmir is not a easy place to film. We were always under surveillance by police or army and even as we filmed we could hear gun shots indicative of encounters which were on in the nearby region. Despite this we could capture Kashmir beauty at its best. We planned our trip in the middle of Kashmir’s coldest season locally called “Chillai Kalan” and we could see that this season had not received the maximum snowfall. While we know that isolated incidents cannot be related to climate change- the people pointed out how this has been happening for many years now. Our most poignant moment of filming was when we entered a mosque and the maulvi was leading a prayer begging the gods to bless the valley with snow. We could see firsthand how climate change is not in the future but now. It was a tough shoot but very redeeming as we got to witness Kashmirs intense beauty come face to face with planet earths worse crisis. We have tried in this film to not paint a dooms-day scenario of the issue of climate change. But rather provide solutions which include preservation of Kashmirs wetlands which act as carbon sinks. Post by – © Ajay Bedi & Vijay Bedi. Ajay Bedi & Vijay Bedi are youngest Asian to win Green Oscar.